New and Used Stethoscopes are for Sale at The Dr’s Toy Store. Buy Stethoscopes now for the Best prices. The stethoscope is an acoustic medical device that is used for auscultation or listening to the internal sounds of an animal or human body. 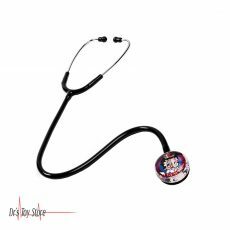 Usually, the stethoscope has a small disc-shaped resonator that is placed on the chest and two tubes connected to the earpieces. It is often used to listen to lung and heart sounds. It is also used to listen to the intestine and blood flow in the arteries and veins. When combined with a sphygmomanometer, it is usually used to measure blood pressure. In simple words, the stethoscope has a small piece of round metal covered with a piece of plastic. A piece of metal is called a stethoscope chest piece. A plastic is called a diaphragm. When you put a stethoscope on the chest of an individual, the sound vibrates with the diaphragm. This sound travels through the metal tubes of the stethoscope and to the ears of users. So, when asking about how does the stethoscope work? Simply put, it works by vibrating the sound to the doctor’s ear and amplifying the sound. Stethoscopes used in hospitals are often used to listen to sounds of the lungs and hearts. It is also used to listen to the intestine and blood flow in the arteries and veins. In combination with a sphygmomanometer, it is usually used to measure blood pressure. Created as an economical alternative to similar models, the AdScope 658 electronic stethoscope is enhanced to 18x and works with all patients, including children. The tightened acoustic seal reduces noise and external noise, and the appropriate controls of the buttons allow you to adjust the volume and frequency. 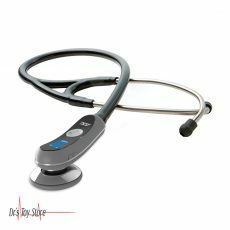 The intuitive stethoscope powers on instantly when it detects use, shut off completely after three idle minutes, and lasts for up to 400 three-minute exams on a full charge. The Littmann Classic II S.E. Stethoscope is a reliable and effective clinical tool for physically assessing and monitoring your patients. It is a choice of millions of health care providers who are trying to achieve the best results for patients. The Littmann Classic II S.E. 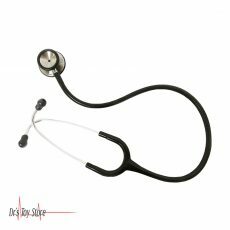 stethoscope is a true clinical working machine, providing high acoustic sensitivity thanks to a two-sided pavilion of stainless steel; with a flexible diaphragm on the one hand and a traditional bell on the other. Classical II S. E. stethoscope is utilized by students and health professionals to identify listen to and learn the heart of the sounds, lungs and other sounds of the body for physical evaluation and diagnosis. 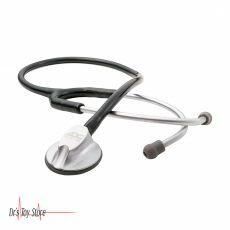 The ADC Proscope 640 Sprague Stethoscope (#640BK) is designed to offer unrivaled acoustic sensitivity, incomparable durability and unparalleled comfort. 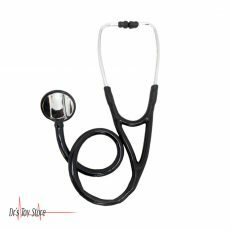 This black stethoscope comes complete with a bag containing the bell chestpieces, chestpiece key, two spare diaphragms, and one pair of silicone eartips. Threaded chestpiece drum of chrome plated zinc permits the use of five interchangeable chestpiece fittings – an adult and pediatric diaphragm, and three bells (1 1/4″, 1″, and 3/4″). Proprietary valve mechanism eliminates acoustic leakage. Traditional 16″ double tube configuration. 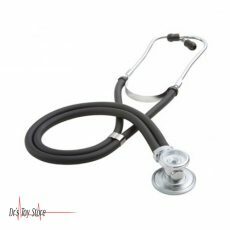 Below is a list of the Best Stethoscopes brands that are available for purchase at Dr’s Toy Store.